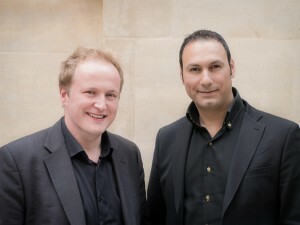 Award-winning and critically acclaimed British conductor and composer Benjamin Ellin is currently Music Director of the Thursford Christmas Spectacular, co-founder, conductor and composer of the contemporary-fusion ensemble Tafahum, Principal Conductor of the Slaithwaite Philharmonic Orchestra, Music Director of Focus Opera and President of Pembroke Academy of Music, London. His belief in the positive power of music within society is reflected in the wide-ranging projects of which he is currently a major figurehead. From his own ensemble Tafahum, major projects and collaborations at London’s Southbank Centre, his own commissioned works including with the First Nation communities of Alberta, Canada to his commitment to outreach and development work as well as appearing on stage with leading ensembles across the globe, Ellin’s belief in a musical world without boundaries is equalled by a tireless commitment as a guest artist and as a Music Director. His 2018/2019 season mirrors this ethos and combines a wide variety of work whilst also marking the 10thseason of his Music Directorships in Thursford and in Slaithwaite. Full seasons of performances as Music Director in the UK will be combined with touring commitments in China, France, Germany, Slovakia and Russia (amongst others) alongside his guest conducting work. Benjamin will also be busy in the recording studio, with new albums slated with Tafahum, new film scores and recordings of recent concert works both in the UK and abroad. 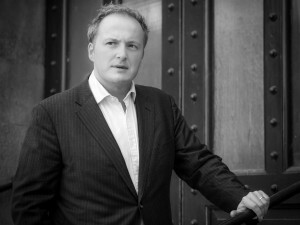 In recent seasons Benjamin has performed with the Philharmonia Orchestra, Sinfonia Varsovia, London Philharmonic Orchestra, Orchestre de Picardie, Hulencourt Soloists Chamber Orchestra, English Chamber Orchestra, BBC Scottish Symphony Orchestra, BBC National Orchestra of Wales, Orchestre National de Lille, Shanghai Opera House Orchestra, Gunma Symphony Orchestra (Japan), St Petersburg Symphony, Orchestre National de Montpellier, Teatro Massimo Palermo, Orchestra del Teatro Regio Turin, Russian State Symphony Orchestra, New Russian Symphony Orchestra, Orchestre National de Lyon, Orchestre Chambre de Catalogne and the Luxembourg Philharmonic amongst others. As a composer Benjamin’s work has been performed all over the world, in the concert hall, theatre and for the screen. Recent highlights have included his oratorio, ONE BEFORE ZERO, commissioned and premiered by the Orchestre de Picardie in 2016, as part of the centenary commemorations for the Battle of the Somme and which will receive its German and Slovakian premieres under Benjamin this season. His SINFONIA NO. 1 was recently performed at the Royal Opera House in London with the Royal Ballet School in 2017 as part of their Summer Showcase whilst his Violin Sonata has already been commercially recorded and released twice by different artists. 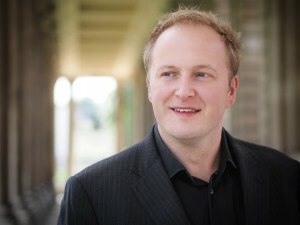 Benjamin has received commissions from organisations including the Hallé Orchestra, Orchestre Chambre D’Auvergne (France), Orchestre de Picardie (France), Shanghai Opera, Trio Chausson, Concordia Foundation, Maison de la Culture (Amiens), the SoWeCa International Festival and the Fort Macleod International Festival, Canada. Works now in progress include his first opera, WOLVES, with writer and collaborator Ben Maier and a major new theatre work for Tafahum.